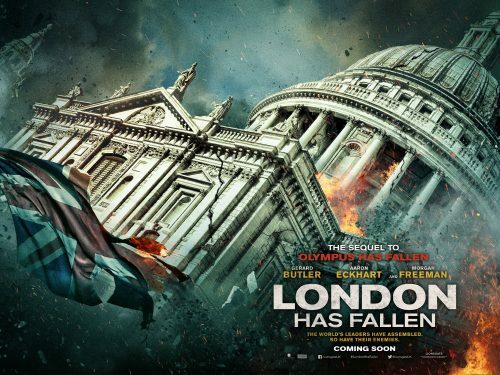 A new trailer for the upcoming sequel to Olympus has Fallen, London has Fallen, has hit the web. not only that, we have a new release date. From October 2015 to sometime in 2016. I’m not sure what to read into that as it still had six months to go. It does look like a good popcorn movie. Lots of explosions not much in way of character development 🙂 I would say the “Early 2016” date will be around Easter to capture that holiday market.